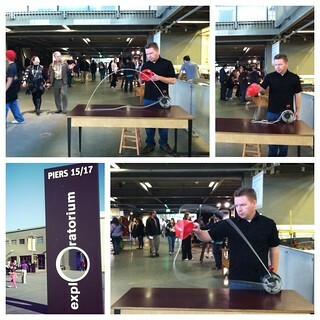 Playing around at the first adult night at the Exploratorium. We tinkered with experiments, tested theories and sipped sparkling wine at the museum’s new home on the Embarcadero. This my entry for the Photo Sunday challenge: Motion. Finally view your nice pictures read your blogs again. Enjoyed them. Also, in your Easter blog, “Peace..” we were cracking up in the middle of the night while reading it..very funny. Love your humor!